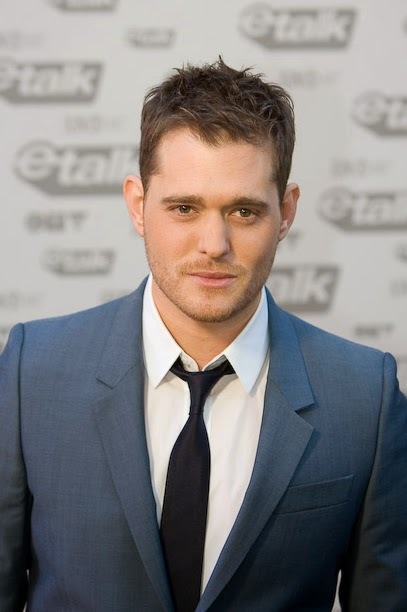 Michael Buble - a rather splendid entertainer. I wasn't present at the Valley last night and so missed the first game post Chris and the point that we garnered from it. You know how it is, you agree to a night out with your partner safe in the knowledge that the Addicks aren't playing.........after checking of course. However, sometimes events conspire against you. You know how it goes, the lads get through to their first FA cup quarter final in years, South Yorkshire Police deem that it should be played on a Sunday because those Charlton fans have a long history of trouble especially in the later stages of the cup and subsequently, that nicely scheduled Tuesday night game gets put back 24 hours........bu**er ! Annoying enough in the normal course of events, given the goings on in the previous 24 hours, really f'ing annoying ! Hey ho ! I've not got a long history of attending gigs. I've seen The Adverts ( supporting Blondie ), Blondie, The Damned, Thin Lizzy, Ali Campbell, The Stranglers, George Benson, Luther Vandross, Alexander O'Neil, Gloria Gaynor, Michael Jackson...........I might have forgotten one or two but a bit of a mixture there. Until last night I'd not been to see anyone like Mr Buble. I have to say I was very impressed. He is hugely likeable, very engaging and possesses a pretty damned good voice. The show he put on at Birmingham's NIA was I felt, top notch. He is a superb entrainer. If you're of a certain age and perhaps even if you're not, I'd encourage you to see him if you've a chance especially if the Addicks are playing at home...........I've banked a few brownie points ! I liked the sound of the applause for Chris, a nice touch. My lad tells me the atmosphere was very flat to start with but that it improved as we started to play a bit of decent football. It also appears that the fighting spirit is still there. 3 points would have been great but at least we didn't lose and if we won on Saturday then it'd look better. However, we all know what will happen on Saturday don't we children ! I think we all recall all to clearly the reverse fixture from earlier in the season. A pig of a game and one that was lost to an awful deflected goal. That was probably our best chance to get a result from our local rivals who really don't care about us at all. They will no doubt underline that point once again this weekend with the usual near sell out crowd. No one, our new boss aside, needs telling important and meaningful a win on Saturday would be. It would give the club and all concerned a massive lift ahead of Tuesday's game against Yann's Cherries ! However, I shall be totally flabbergasted if at 5,50pm on Saturday we've done anything other than suffer again at the hands of that lot. If you're going then you have my respect and best wishes. I hope you witness us secure at least a point.